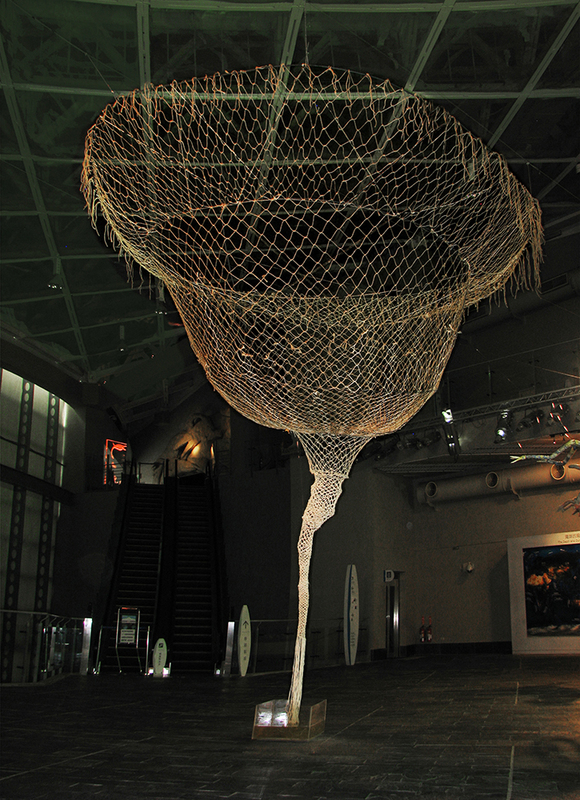 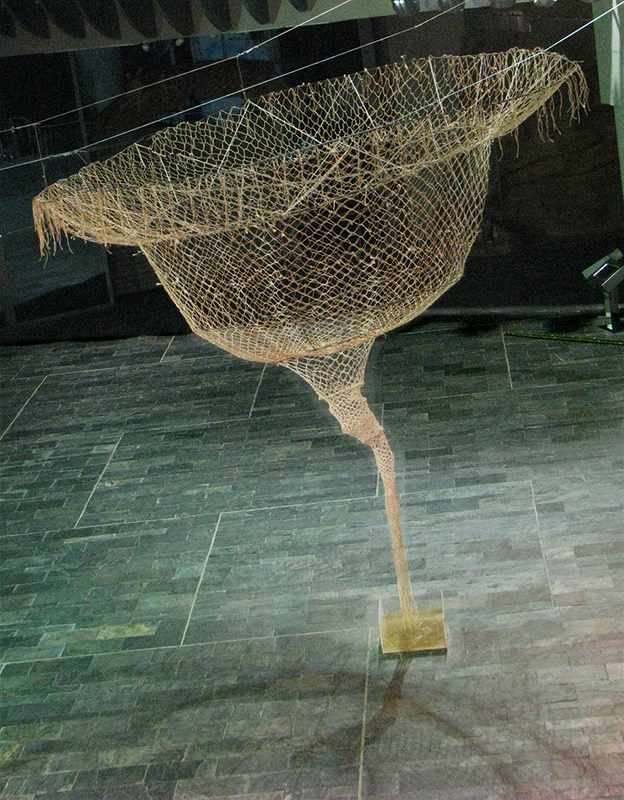 For Turning the Tide, an exhibition about the alarming situation of our oceans, I knotted this typhoon shaped trap. 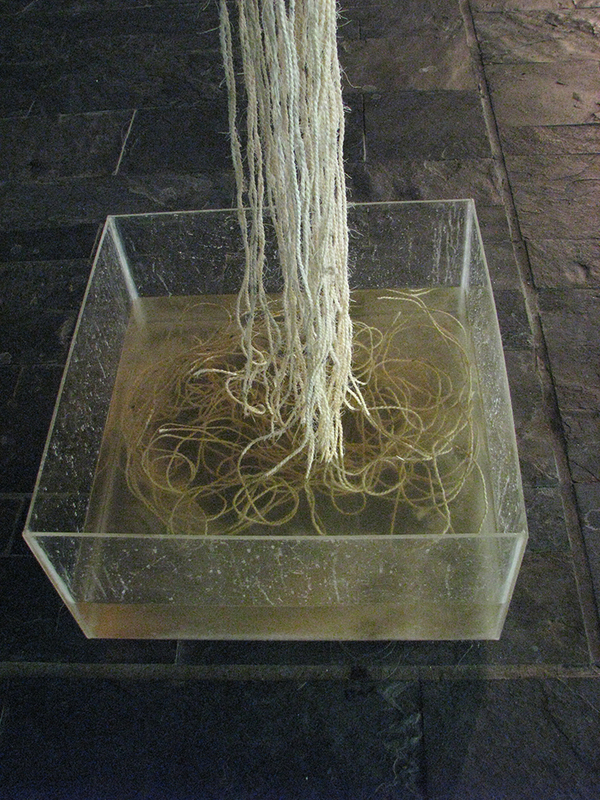 It ends inside an aquarium filled with saturated salt water. 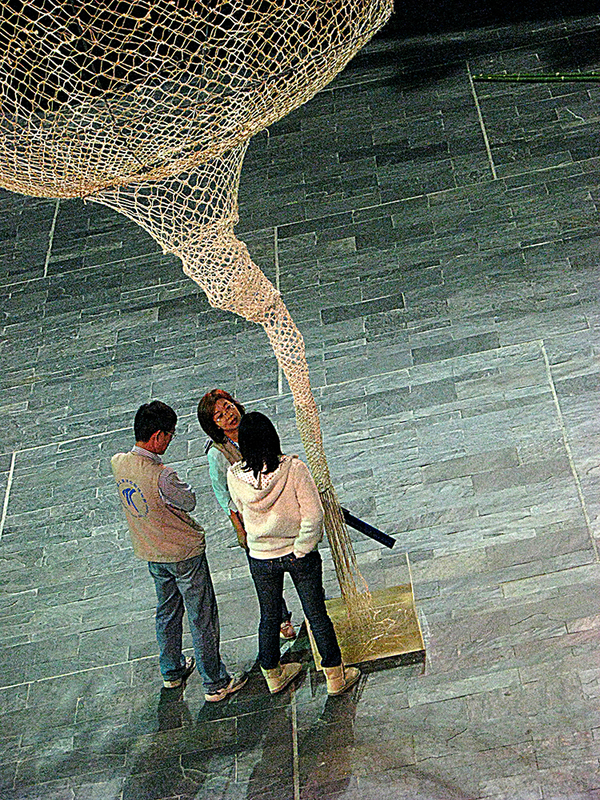 Salt kristals climb up in the sculpture, smothering hopes for a good catch.